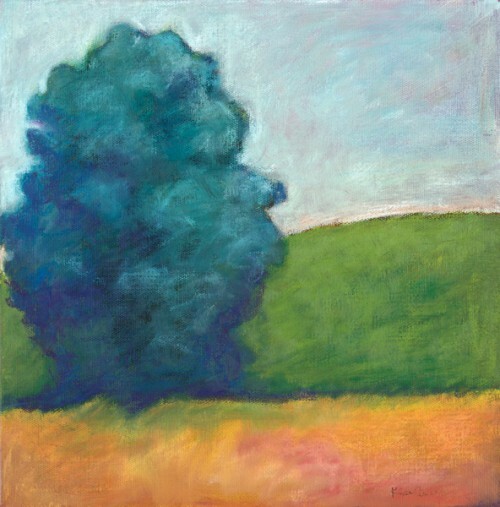 Richard Paul Weiblinger was selected to be included in the 24th Annual PAL Juried Exhibition at the Montpelier Arts Center main gallery December 7 thru 31, 2014. He was also selected to be included in the Washington Artworks “White” Juried Exhibition at the Washington Artworks Gallery in Rockville, MD January 2 thru January 31, 2015. Reception on January 2, 2015 from 6-8 PM. In addition, he was selected to be included in the 24th Annual Strathmore Artists Juried Exhibition “What’s On Your Mind” at the Strathmore Mansion Gallery January 10 thru March 1, 2015. Reception on January 11, 2015 from 2-4 PM. 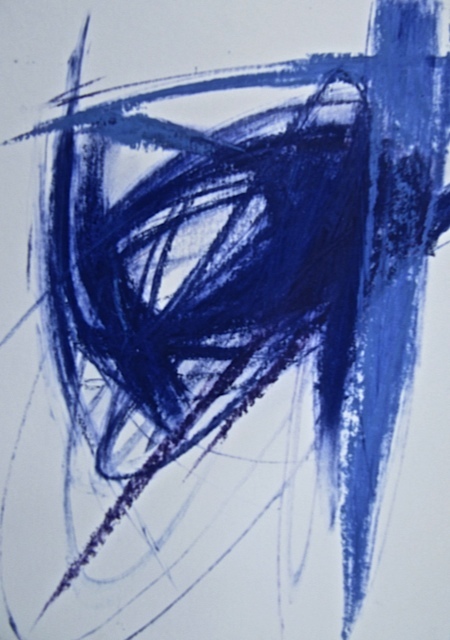 Gail Higginbotham has three paintings in an exhibition “Blue” with Still Point Gallery, an online gallery that can be viewed here. 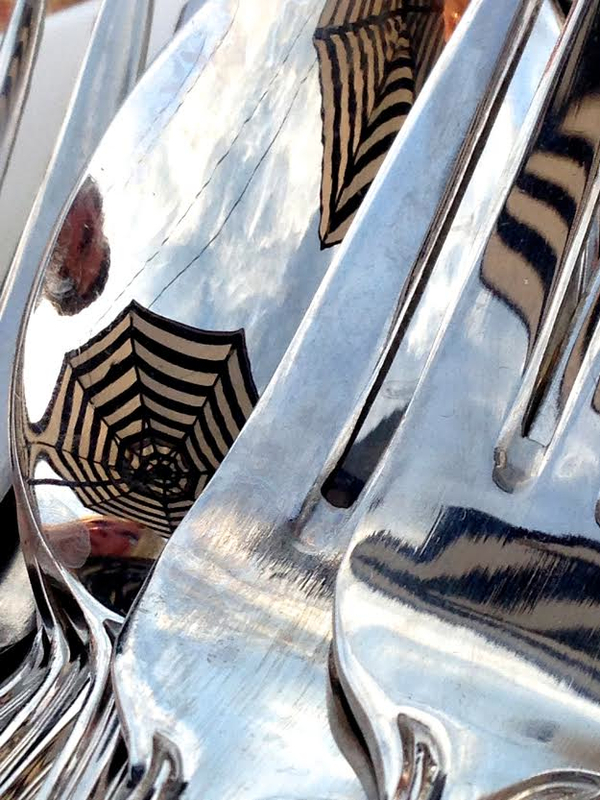 In addition her work is listed in their Winter publication of Still Point Arts Quarterly. The Artist of the Month exhibit will run at Paul’s Homewood Cafe until February 1. Kellee and Maureen have been juried into the Small Wonders exhibit at Jordan Faye Contemporary which runs until December 23. 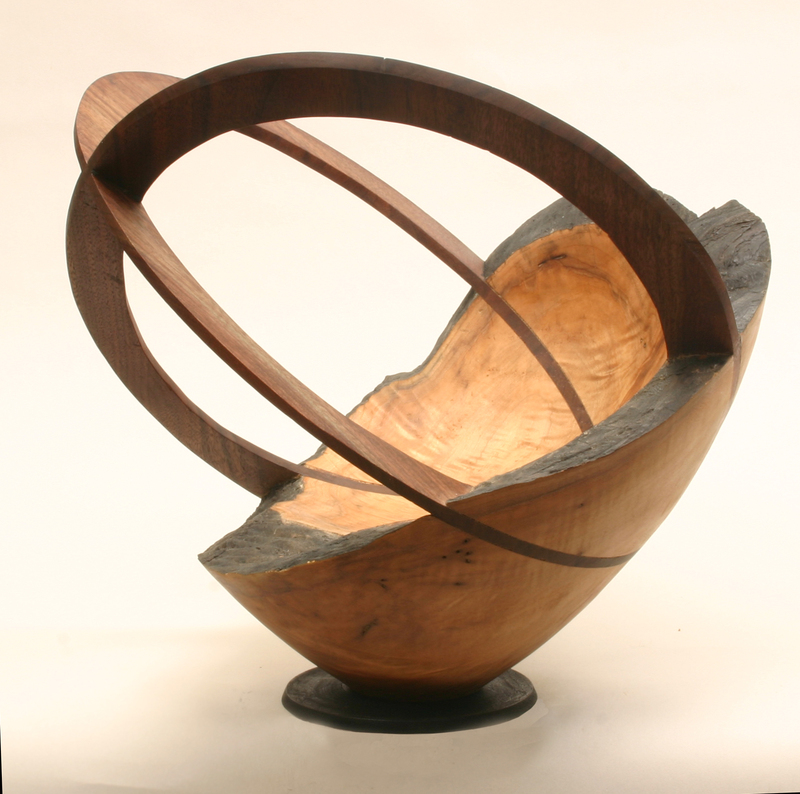 Joe Dickey is holding a solo show titled “If Wood Could Sing,” at the Watergate Gallery, 2552 Virginia Ave NW, Washington, DC. 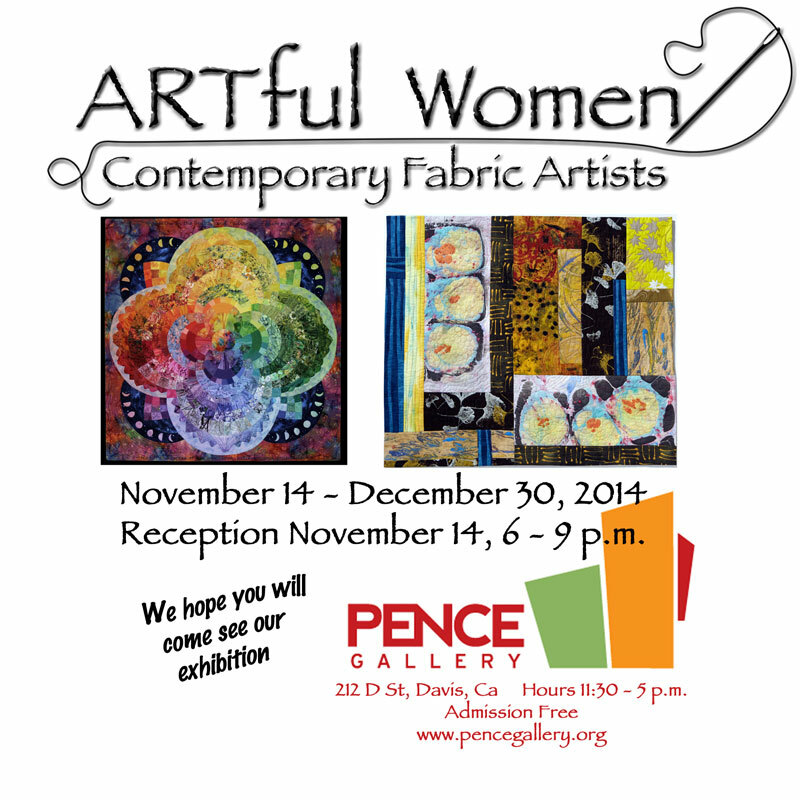 The show runs thru Jan. 17, 2015. 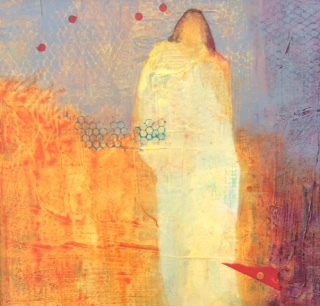 The Laurel Artist Guild will soon be hosting their 46th open juried exhibition. You may enter any time before January 31 via mail (if pieces are on a CD) or online. You may submit up to two entries only if you are 18 or older and living in Maryland, Virginia, Delaware, District of Columbia, Pennsylvania, West Virginia, or New Jersey. Click here to view the prospectus. 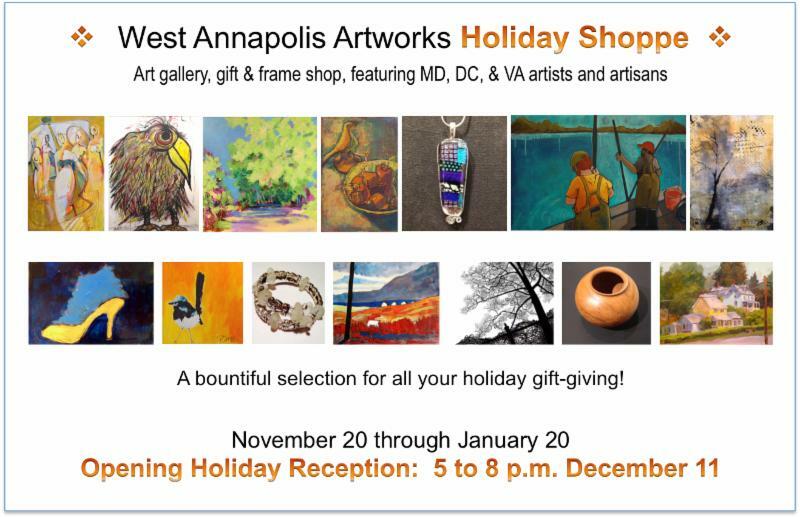 West Annapolis Artworks and Fine Framing is hosting a Holiday Shoppe! Almost 100 paintings, hundreds of pieces of artisan jewelry, one-of-a-kind children’s clothing, pottery, ceramics, wood, hanging crystals – all original artwork, and prints as well. 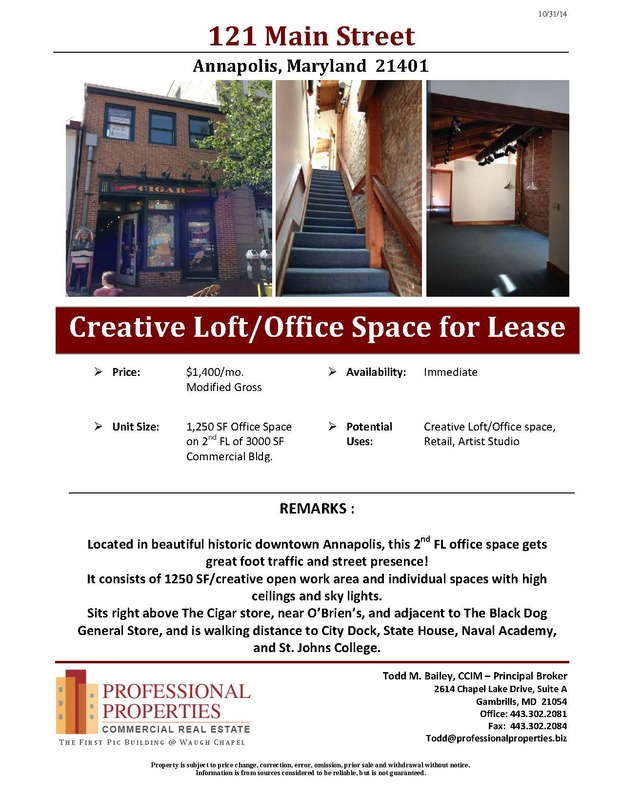 Located in beautiful historic downtown Annapolis, this 2nd FL space has great foot traffic and street presence! 1250 SF/creative open work area and individual spaces with high ceilings and sky lights. Sits right above The Cigar Store, near O’Brien’s, and adjacent to The Black Dog General Store, and is walking distance to City Dock, State House, Naval Academy, and St. Johns College. Asking rent is $1400 per month. 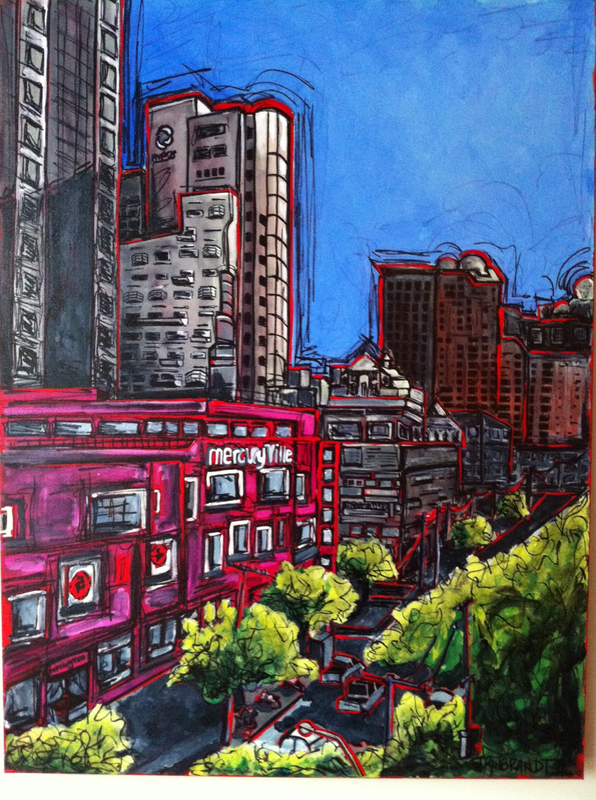 River Arts has an open call for artists looking to enter a two-dimensional. abstract show titled “Without Reference”. Read the complete call or sign up on their website here.